We pay particular attention to the preservation of resources and the protection of the environment when planning and organising major (sports) events. At the beginning of June 2015, the Freestyle Days took place at the Landhausplatz Innsbruck for the first time. Two days of sport, fun and action – all eco-friendly and sustainable. 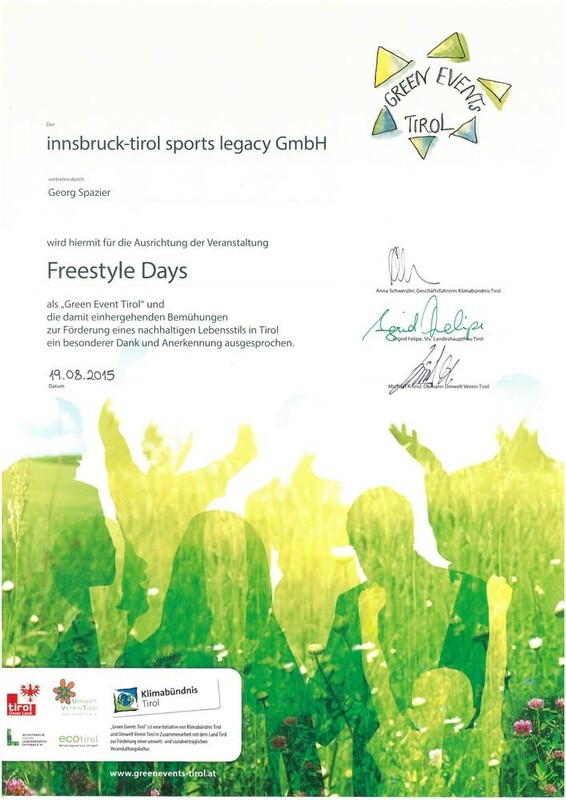 The Freestyle Days were certified as „Green Event Tirol“. In accordance with a sustainable lifestyle, different measures have to be taken in the fields of energy, water, food and beverage, provision, waste, mobility, communication, venue and social responsibility. In order to fulfil the demanded criteria, a change of thinking is certainly needed. Therefore, the Freestyle Days were a further major step towards ecology, social responsibility, and regional added value. 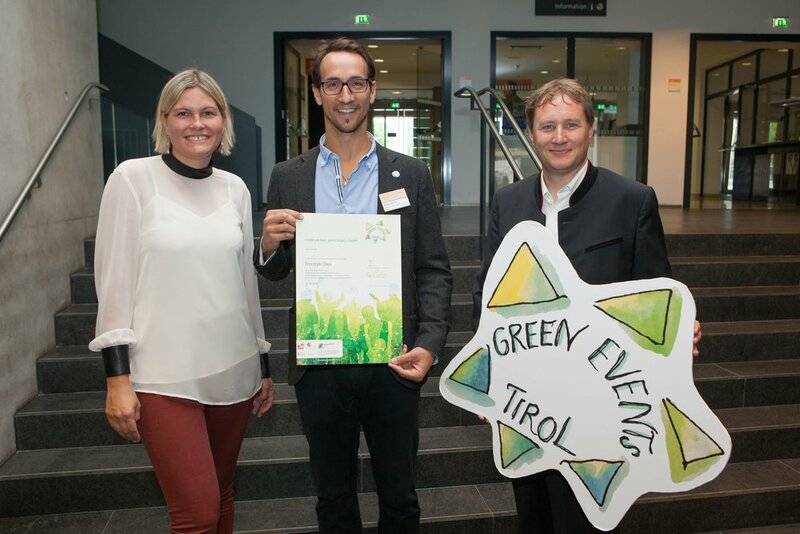 With the Freestyle Days as a „Green Event Tirol“, we were able to set an example for future (major) events in the Tyrol and we are very proud of this.